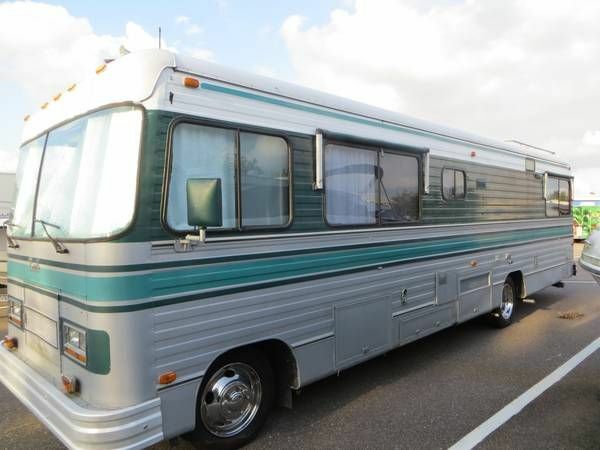 looking at a 1985 Barth in Clemson SC. I think it's a Regal 31A. Can anyone tell me the wheelbase, overall length,and the height to the top of the a/c? Have sent a text to seller but have not heard back yet. I think I may have seen this before. Seller claims it has 24000 original miles on it but I doubt that. Looks like folder 3212 is the same barth you are looking at. According to the pics on photobucket, 178 inch is the wheel base. Analogdream86 was the previous owner. Jim here is the Data tag for your viewing. You can also look at folder number 3212 on Bill's Photobucket page for a slide show. Yes, I remembered it after I saw it. The previous owner is a nice fellow from Oak Ridge TN. He bought it in Florida. The current owners used it for about 3 years. Might be a nice project for someone. The seller said the overall height is 12'. Sounds a little high to me.